Enter your email address below to receive a notification when Simple Times Mixers starts accepting new sign-ups! Enter your email address below to receive a notification when Simple Times Mixers is accepting new sign-ups again. 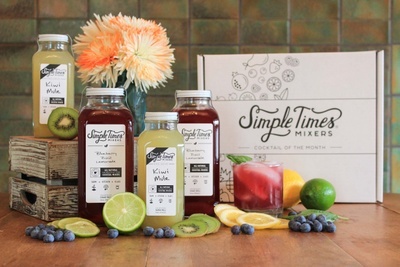 Your first box will ship on the 5th of the month. Please order by the 1st to get the current box. For existing subscribers, we ship on the 5th of every month. 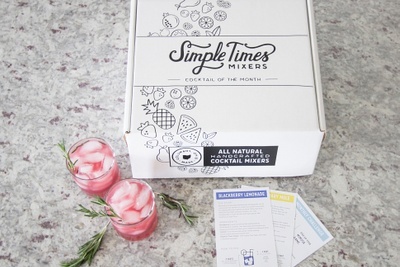 The Simple Times Mixers subscription box brings handcrafted cocktail mixers to your door each month. 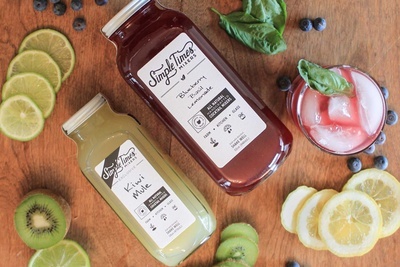 We seek out the best seasonal ingredients, create and build the perfect balanced cocktail & all you do is add your favorite spirit. 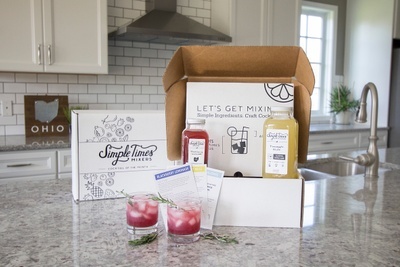 Each box includes a Seasonal 32oz Mixer (10 cocktails), 16oz Exclusive Infused Mixer (5 cocktails) and easy tips!